On July 29, 1975, after the successful military coup that brought Murtala Mohammed into power, Olusegun Obasanjo was made the deputy to Murtala Mohammed’s new government. After the attempted coup that led to the assassination of Murtala Mohammed, Olusegun Obasanjo became the military head of state. 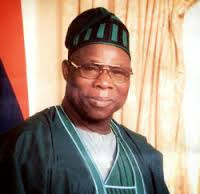 In 1979, Olusegu Obasanjo handed over power to the civilian government after the conduct of a successful election. This particular incident made Olusegun Obasanjo the first Military Head of state to transfer power peacefully to a civilian regime in Nigeria. In the year 1999, Olusegun Obasanjo contested for presidency and won the election. Thereafter, he became the civilian president of Nigeria. In the year 2003, Olusegun Obasanjo was re-elected for a second term in office. During Obasanjo’s regime, Nigeria’s GDP growth rate doubled to 6 percent until he left office. Nigeria’s foreign reserves also sky-rocketed from $2 billion in 1999 to $43 billion in 2007 when he left office.